In 3 hours I will be flying high in the sky with my family on our way to Arizona, where it will be 75 to 85 degrees each day and NO rain, hail or snow. I have spent the day packing, cleaning and organizing for our trip. 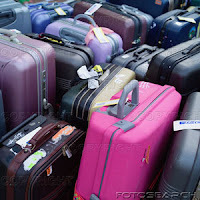 This picture of suitcases is how our pile of luggage looks when our family travels, we look as if we are moving to our vacation destination rather then just visiting for a week…I really do try to cut back and only pack the minimum but still it seems we end up with this HUGE pile of luggage and obviously more then we will need. Chat with you soon….Oh I almost forgot Due to my packing and busy life preparing for our trip you will need to check back in next week for the latest Let’s Make a Meal....in the meantime if you have a great meal recipe post a comment for us to enjoy. What's your PURSE-ONALITY? Who are you really? Recently Comedian Anita Renfroe was featured on Good Morning America sharing her humorous thoughts on how she believes our purse can actually reflect the real personality we have. Think about it - this could be some really helpful information for us non-psychologists. We can now psycho analyze the women we come into contact with in one simple step – Check out the purse they carry. Is it true that your purse might be able to tell us who you are better than you could? Read the four different Purse-onality styles Anita shared on Good Morning America... Then take a look at the purse you carry - WHO are you? This lady is the one who never really got over carrying the diaper bag and still wishes she had something that large. She normally has a full snack bar and a working pharmacy down in her bag and is prepared for every situation in life. The upside: Should you ever find yourself in jail, she'll be the only one in your group of friends with a MacGyver 7-in-1 tool to bust you out. Basic Tiny ToterThis girl can get the whole contents of her day into seven square inches. I don't really understand this woman, but you can bet if she can do this that she's got some control issues. She probably pays her bills ahead of time and has her sheets tucked in real tight on the corners of her bed. The upside: Should you ever find yourselves in jail, she'll be the only one with the unlimited AMEX who can bail you out. She gets one purse and sticks with it for 12 years. She's the kind of person for whom you occasionally have to do what we call "a purse intervention." Now she's also loyal and if she'll stay with this purse for 12 years she'll hang with you. The upside: Should you ever find yourself in jail, she's the only one in your group of friends who'll be out on the sidewalk holding a candlelight vigil with a sign that says, "My friend is innocent." Purse SchizophrenicThis woman changes her purses more often than she changes her underwear. Sometimes she doesn't know how she's going to feel after lunch so she'll occasionally carry a purse inside of her purse just in case her mood changes. The upside: If you find yourself in jail, she's normally the reason why you're there, BUT she's also the one who'll sit right there with you in that jail cell saying, "Isn't that the best fun we ever had honey?" Today the purse I carry would fall under the More is Better category – maybe it's from all the years of carrying a diaper bag (too many to count). Now I don’t have a full snack bar or pharmacy, but I prefer the larger type so as I go about my day I can continue to fill my purse with various items from McDonalds toys, ½ eaten kid snacks, my children’s souvenirs of rocks and feathers, purchases I make, receipts, coupons and fliers I pick up along the way, my empty Hot Coco portable mug, the latest book I’m reading (in case I find 5 free minutes), and once in a while I even find a sock or two stuffed in my purse by day's end. I start my day out with a purse weight of 3 lbs and end it with a 20lb weight. My Daughter Savannah is a purse-aholic so she falls in the Purse Schizophrenic, and I think her friends would already agree with the upside of it. She is truly the Fun Party girl who thinks everyone is her friend and would so love to do what ever she is doing. View the Good Morning America Clip of Anita. So who are YOU? Comment us and tell us your purse-onality. Be in the 24/7 MOMS Blog know by signing up today to receive your automatic Blog updates by email. Enter your email in the box on the right side of the 24/7 MOMS Blog and you will be updated with the latest 24/7 MOMS Blog posts. Be in the BLOG know - sign-up today! My 24/7 MOM days can be crazy. I am sure they are similar to yours – laundry to fold, lunches to pack, beds to make, errands to run, floors to be mopped, meetings to attend, dinner to cook, children to be taxied, and the list goes on and on… never a dull moment. I realized early on in my mom journey that if I was going to survive I better find some Time Saving solutions to avoid my Time Wasters. If you are like me and in need of Time Saver ideas to survive the journey, then meet back here each Thursday for a New Time Waster, Time Saver idea. Time Waster: Do you find yourself searching for your child's birth certificate, ID cards, passport, Social Security number, savings account register or other important info? How about those gift cards or tickets to an upcoming event or other important items that seem to disappear? Time Saver: Create a file for each member of your family... Use these files to hold all those items you are constantly searching for. You can even keep up-to-date health records, emergency information, etc. in them. I then place them in a desktop file system so they are quickly accessible. Now with teenagers they, too, can find what they are in need of by going to their own family file. Did YOU see our 24/7 MOMS bookshelf on the right side of the blog page? Keep an eye on it - I will update it with GREAT books for Moms to read ! 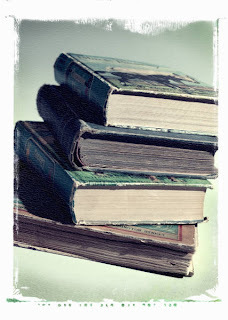 All you have to do is leave a Comment on the 24/7 MOMS blog telling us what your favorite Mom , Marriage or Family book is. Today I will fulfill my promise from a couple weeks ago - giving you more helpful hints and ideas on Feeding the Freezer. One ice (road) block we have to over come is thinking our freezer space is NOT big enough to feed (freeze extra meals). First, I want to encourage you to take 15 minutes to clean out your freezer. Toss those frozen hot dogs or last year's frozen berries that are now freezer burned. When I clean out my freezer I always have to laugh at the strange items I find and think "Why, oh why, did I place this in my freezer in the first place?!" Let’s get started - grab a plastic garbage bag and begin tossing and organizing. This method is used for your meals that are liquid-based, such as soups, chilis and stews or your semi-solid foods such as meats in marinades, stroganoffs, pre-cooked meats, etc. Step 1 – Label your bag with date, content and quantity. Believe me, once it is frozen it can be very difficult to determine what is actually inside your now frozen zip bag or the quantity it will feed. Step 3 – Squeeze out as much of the air as possible so you can store them as FLAT bags and stack them on top of each other in your freezer. Step 4 – On serving day, remove from freezer and either place in refrigerator on a pan or plate allowing to thaw completely or use the defrost on your microwave for seedy defrosting. Then cook the meal as directed in the original recipe. This method is used for your solid food items that need to hold a particular shape/form such as lasagna, meatloaf, enchiladas and casseroles. Step 1 – Choose the pan/Pyrex dish you want to use for the proportion/size of meal you want to freeze. Step 2 – Line it with foil wrap first then with a layer of plastic wrap (be sure to use a large enough piece of each to cover the bottom, sides and top of the dish). Step 3 – Fill the dish with the size meal you are wanting to freeze. Step 4 – When food is completely cooled, seal/cover with the plastic wrap, removing as much air as possible. Then seal/cover with the foil. Step 6 – On serving day, remove the meal from the freezer and allow it to thaw slightly. Then remove the foil and plastic wraps and place it the original baking dish. Allow to finish thawing and bake as directed from the recipe you used. Today's Let's Make a Meal Monday recipe is another YUMMY feed the freezer recipe from the Don't Panic - Dinner's in the Freezer cookbook. Combine all ingredients except the chicken in a bowl and mix. Place the chicken breasts in a freezer bag ( the quantity you want for each meal) pour the marinade over the chicken, using the freezer bag method. Serving Day: Thaw completely. Grill 4-6 inches from the heat source for 35-40 minutes. I have also placed these in my Oven and baked on 350 for 45- 60 minutes.. This is one of my FAVORITE feed the freezer cook books.....this is the first one I purchased over 10 years ago. Welcome to FRIDAY FAVORITES - Just a few of my favorte things I found or experienced this week. 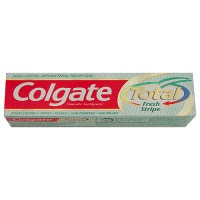 Get a free sample of Colgate Total Advanced whitening toothpaste at Wal-Mart samples. This sample size will be perfect for the upcoming summer months of traveling. You can never have enough travel size products. Get your sample TODAY. My Favorite blog this week is a brand NEW blog by Sheila Wray Gregoire To Love Honor and Vacuum . …and it’s already on my TOP 10 list of blogs that I check in on weekly to inspire me as a Wife and Mom..I enjoy her posts and writing style. Check out this New BLOG today. My favorite FUN of the week was a new Tradition in the Novotny home…..I purchased some fun plastic eggs and treats to go inside the eggs, and my two youngest and I filled the eggs and placed them in a Easter basket. Last week in my Friday Favorites I told you about the "Mom's Everything Book for Daughters" book being one of my top books for moms with Daughters, so this week I thought I’d share with you one of my TOP ten books for moms of sons. "The Mom’s Everything Book for Sons"- Perfect for moms of sons pre-teen and younger. Another book I just could not put down, once again I earmarked and underlined so many great ideas for moms and sons. Full of great thoughts, advice and practical bonding ideas to use while raising our little men to be GREAT Men. A MUST read for every mom of sons. My Favorite web site of the week is Focus on your child a web site full of resources for me as a MOM…What I love most is that I can actually go to this ONE web site and search for topics that relate to the various ages and stages of children I am in the midst of raising. I also HIGHLY recommend the membership program they offer for $24.00 per year. my favorite benefit of the membership is the audio journals, they are CD’s full of great mini talks on raising kids, Marriage and so much more. Today I was listening to an old audio journal on Mommy Guilt and WHY moms need support groups. I realized the HUGE need there is for an organization like 24/7 MOMS to be part of the mommy-hood journey thru all stages of mothering. You can also find forums on this web site that you have the opportunity to share ideas and advice on different topics…This is a perfect tool to equip us a Moms. Those were a few of my favorite things this week…Do You have some FAVORITES? Comment to us and share them with the 24/7 MOMS blog readers. 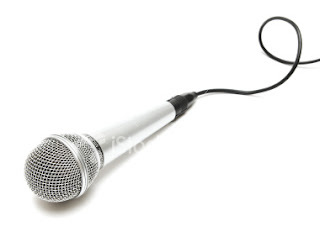 Have you HEARD an amazing speaker? We are working on the upcoming 24/7 MOMS Conference for the fall of 2008 and would like to HEAR who you think is an amazing speaker and believe other MOMS would love to hear at the first 24/7 MOMS conference. With Easter fast approaching we came up with this SIMPLE “You are EGGSTRA Special” gift. Not only do my boys have fun making these simple gifts, they also feel the joy of giving when they get to hand each one of their classmates a simple gift from them. Have you signed up at www.247moms.com/ ? Be in the 24/7 MOMS know and sign -up today to receive your monthly E-News full of Mom fun, Yummy feed the freezer recipes, Celebration ideas, Contests and so much more. Sign-up today and be in the 24/7 MOMS Know. The race is on I have 5 days and 5 Easter baskets to fill with fun, creative and useable items. Besides the Traditional chocolate bunnies, marshmallow peeps and jelly beans what else can we as Moms place in our kids Easter baskets? With that question in my mind I sat down and typed out my official "Creating FUN Easter basket list for Moms" to assist us this week and keep on hand for future years. First decision will I use the traditional Easter basket that is used each year or choose a double use Easter basket – fun and useful after Easter is over ? Next decision will I create a smorgasbord basket filled with various items or choose a theme for their Easter baskets? Next comes choosing the fun creative filler ideas. Which can be challenging with such the age range of children in my home – I’ve made two lists to assist us one for younger kids and one for the pre-teen/teenagers. *What hobbies or interest does your child or teen have – Reading; Sports; Crafts; Gardening; Music; etc. 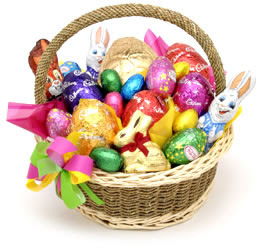 I hope these lists and thoughts have helped you in this weeks race to fill your children’s Easter baskets...Get Ready.... Get Set..... Go…..
What are we celebrating tomorrow? Was the BIG question I asked my youngest child Nate earlier today. His answer “St. Patrick’s Day”. I then proceeded to ask him how do we celebrate St Patrick’s Day?. He went on to tell me that “we have to set up traps for the Leprechauns who will come to our house tomorrow night and steal all of our chocolate” (I am chocoholic, which means we have plenty of it in our home to get stolen) he continued on…. “but if we catch one then he has to grant us a wish”. His response got me thinking about how we could celebrate St. Patrick’s Day this year….Typically our family tradition is eating a meal of corned beef and cabbage along with green food items at the dinner table in which I have decorated in green and filled little gold treasure boxes with treats. This year my children have a birthday party to attend on St Patrick’s day. Why cook another meal? Remember, I’m the “Cooking is NOT my thing” chef , so Nate's response to What is tomorrow? has given me an New idea. I typed up post card size notes for each of my children from the little Leprechaun, filled their gold boxes with some yummy treats and as I head to bed tonight I will place them in their bedrooms. When they wake up in the morning they will see what the little Leprechaun has left them, and hopefully follow the instructions. Which means the Mom (little Leprechaun) should be getting 5 gold boxes filled with chocolate by tomorrow night. I think this is a great plan for both the kids and I...they get a yummy treat and I get some of their hidden chocolate. I know you as a Mom GOT lots of mom FRIENDS that would also enjoy being part of the 24/7 MOMS community. So if you GOT FRIENDS why NOT invite them to join us and they can say they GOT 24/7 MOMS as part of their Motherhood Journey. Time Waster: Are you tired of digging and scrambling for that lost receipt to return the unwanted item? Possibly never finding your receipt and now being left with an item you don't want or need? Only to become a Time Waster as we search and look for our lost receipt. Today most of our local stores such as Target and Toys-r-Us make it difficult to return an item without the receipt. Time Saver: So I have a GREAT way that I keep my zillions of receipts each year organized...with 5 kids it seems receipts can pile up quickly. 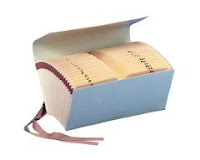 My Time Saver solution has been that each year I purchase a Cancelled check file from my local office store. I then file each receipt in alphabetical order. Now when I have a return to make I can quickly retrieve my receipt and have a No Hassle return. It has been a GREAT week of MOM Favorites.....I have 5 FUN ones to share with you. Why not tell your MOM freinds about 247moms.blogpsot.com so they can be in the MOM KNOW of our favorites. My Favorite Bargain of the week My two youngest Caleb and Nate are still Big veggie tale fans so when I came across this bargain I was thrilled…. This week at http://www.bigidea.com/ they are offering $10.00 off any DVD purchase by using code WIZ. I ordered Veggie Tales "The Wonderful World of Auto-tainment" for my boys. I think it was the only one we actually don't own. My total cost was $3.63 for the shipping..
Do you have a Daughter? 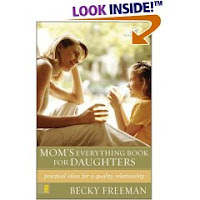 "Mom's Everything Book for Daughters" is definitely one of my top 10 recommend books for moms with pre-teen daughters. Chalk Full of practical bonding ideas to cultivate the mother daughter relationship as you head into those Teenage years...fun activities, recommended reading for your daughters, awesome conversation starters. It completely captured my attention I could hardly put it down, I earmarked and underlined all the creative ideas and thoughts as I read through it especially the highlighted sections called "Just for Fun" , "Rave Reviews" and "God, Mom and Me"... Moms of Daughters this is a MUST read... grab your copy today. Available at Amazon. My favorite web site of the week is freebies4mom.com. I signed up to receive daily updates informing me of the great FREE stuff I can get as a MOM. This week my favorite Freebie from freebies4mom.com was the Celebration charm from lean cusine. You too can get a free charm by going to http://celebrate.leancuisine.com/. Don't forget to check out my favorite web site and sign up for daily updates. One more way to Live in a Nordstrom world on a Wal-Mart budget. Get a free Celebration Charm from Lean Cuisine. Lean Cuisine wants to help you celebrate your daily good-for-you moments. You will need to create a Lean Cuisine account on their website, but it is easy to do. You should be receiving your charm in 4 to 6 weeks. Of course with all offers this one is while supplies last, the offer ends April 13, 2008. I love this Blog - I try to check in daily and see what new creative posts are there to read….It is full of ideas, mom thoughts and just plain good stuff to read. Do you have a Favorite blog? Leave a comment and share it with us. Celebrating my Daughter Shelby’s 17th Birthday was my Favorite celebration this week. I still can not believe my little princess is 17 … she says she has now gone from the little princess to Queen. We began our day of celebrating by discovering that while she was sleeping the Birthday Fairy had come and left her a package holding a new outfit for her to wear to school, next we had our family breakfast with our tradition of Cinnabon cinnamon rolls, eggs and bacon along with smoothies. Before the morning was over yet another discovery this time out on our front porch, her girlfriends had stopped by and left a brownie pizza with balloons…very special to our Birthday QUEEN. It is tradition for the Birthday child to choose their birthday dinner, Shelby choose a night out to Panera Bread. This decision made her entire family happy as it is one of our favorite places to eat. After dinner it was back home to see what FUN new things were in those wrapped packages all for the QUEEN. The Celebration has not ended yet…Tomorrow night (Saturday) Shelby will be celebrating with her friends by going out to dinner then back home for a yummy chocolate fondue (a girl after my own heart) and end the night with a chick flick. It is official the Princess became Queen at 17. Birthdays are FUN especially when you get a FREEBIE on them. Sign-up for a FREE scoop of ice cream on your Birthday at today at http://www.baskinrobbins.com/. Moms love FREE stuff and Moms love to WIN at least this mom does. When I was a little girl I would sign-up for every birthday club, door Prize drawing, mail in offer, I searched for FREE stuff and the more I won and received free the more I caught the FREEbie bug. The bug has never quite left me, even as an adult I LOVE free stuff. Are you a mom like me with the FREEbie bug..Love to get free stuff, Love to win contests? Each month 24/7 MOMS will feature several opportunities to win FREE stuff. This month we have 4 FREEbie contests ….Watch out, you have officially been exposed to the FREEbie bug and the best medicine I can suggest to you, is quick ENTER a contest today. 24/7 MOMS is giving away 2 FREE books this month…Winners will be asked to share a simple review with our 24/7 MOMS. Enter to win by sending us an email to momsview@247moms.com with your name, shipping address and which book you WOULD like to read. I am not a Cook and Cooking is NOT my thing ( just ask my mom, husband and friends)....however with a family of 7 taking off the chef hat was not going to be an option ....instead I needed to come up with a method of cooking that would not only keep my family happily feed but would de-stress my role as a chef. The solution to my “NOT my thing” cooking dilemma is what I refer to as "Feed the Freezer" for the past 10 years it has completely changed my entire cooking and meal planning STRESS. The concept of "Feed the Freezer" is to choose my favorite freezable recipes and double and triple them so that I can begin feeding my freezer full of extra meals. After doing this several times soon my freezers is full of a variety of meal choices and makes my meal planning SIMPLE. Now I can easily place that chef hat on as if cooking is “My Thing”. Check back later this week to read additional helpful hints and recipes from Trisha’s “Feed the Freezer" method of simplifying your cooking and meal planning stress. You can double and triple these ingredients to make multiple freezer meals. Mix together dressing, onion soup mix and cranberry sauce. Place the desired amount of chicken and mixture together in a freezer bag. Freeze. On cooking day: Thaw completely. Place chicken with cranberry sauce in greased baking dish and bake at 350 degrees hour 1 to 1 ½ hours uncovered.Or place in the Crock Pot on low for 8 hours. Don’t forget to write on your freezer bag what is inside and the quantity. Now that is a very vital need...so vital that when rumors circled that the first 100 guests in line on grand opening day would receive a FREE 90 day pass to the movies...the Novotny kids were up for the challenge . The challenge began yesterday ( Thursday)….the plan was my oldest Son Stephen and his best friend Alex were going to camp out over night if that’s what it took to get those 90 day passes….but the big question was when would people begin lining up…or would they have already begun? It was 12 noon, Stephen and I just had lunch and were headed to the library, we decided to stop by the theatrend see if a line had begun. No line - then the cell rings. It’s Alex reporting to Stephen the rumor at Gig Harbor high “there are 57 in line already”. Stephen cleared the rumor ”No one is in line”. We then went to the library for about 15 minutes , as we began to drive home we decided to make one more check on the theatreWell the rumor began a frenzy and the students were beginning to line up. The RACE was on…off to the house to pick up chairs and supplies…off to the High School to pick up Shelby…back to the theatreo claim our spots… I the mom left to begin picking up the 3 other Novotny kids. WHEW, we made it. It is now 3:25 and the line has continued to grow. I was in line holding a place for Alex (Stephen’s friend) as he had to work until 6:00. Being the nice MOM that I am ...I grabbed my new Moxie blog book and a chair and thought I'd get some reading in while my 2 youngest waited with me, playing and enjoying the teenage world, by 5:30 there was well over 100 in line. Tents were popping up, chairs lined along the side walk, BBQ hot dogs cooking, sleeping bags ready for a nights rest in the cold winter air. Honestly my teenage kids were a little bummed that they did not get to experience a winter night on the streets of Gig Harbor…I do think the Novotny's now hold the record for receiving the highest percentage, 6 to be exact that would be 6% of Gig Harbors MOST coveted poker chips today. I don’t know if this is what Making History is all about but for the Teenagers in Gig Harbor today this is History. My answer to you I’m a MOM that believes in Making Memories…and for the Novotny TEAM these memories will be forever great ones.….Accomplishing the Challenge of receiving the most coveted poker chips in Gig Harbor this week. What Memories are you making with your family?…Explore Dream and Discover with them…..and even do a few wild and crazy things. Are you READY to make history with 24/7 MOMS? Join us for 2 days of complete MOM TIME...It will be an UNFORGETTABLE experience. I know spring has not actually arrived but I am in obsessive cleaning mode. In the last 2 weeks I have accomplished completely cleaning end to end, top to bottom 4 kids bedrooms, 4 Bathrooms, My Bedroom and today I decided to do what I thought would be one of the EASIEST rooms in my home. "The Laundry room"
When was the last TIME you cleaned out your laundry room end to end, top to bottom? 4 ½ hours later, It is safe to say My laundry room is NOW the most sanitized, cleaned and completely organized laundry room in my entire neighborhood, of course that is until one of my 5 GREAT kids tromps thru and dumps their things on my oh so clean floor. I am often referred to as a TYPE A or PERFECTIONIST. WOW, does it ever come out when I begin cleaning a room - thoroughly cleaning every inch, organizing all drawers, cupboards and closets, each time I clean that room....not just when it's spring. Which is why I have officially hired a new house cleaner. If I continue to do it myself, it is only a matter of days until I end up like this women in the Video clip below. After you view it you will be glad Trisha hired a new house cleaner at least for the sake of her family.